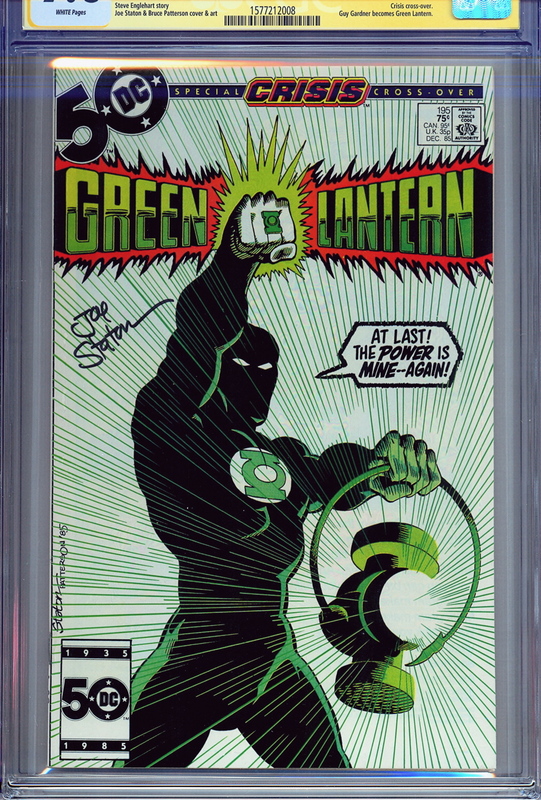 Signed by hand by veteran comic creator Joe Staton, this copy of Green Lantern #195 features Guy Gardner becoming the new Green Lantern. Guy first appeared in Green Lantern #59 in 1968 and served as Hal’s backup until his mind was damaged. Steve Englehart and Joe Staton’s resurrection of the character as a Earth’s new Green Lantern in this issue set the stage for all that would follow, from his role in the revival of the Justice League, to wielding Sinestro’s yellow ring, to his time as Guy Gardner: Warrior. 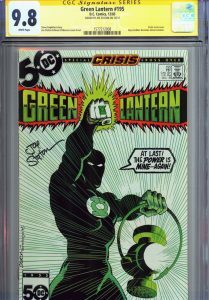 The book is graded a 9.8 and it is part of CGC’s special Signature Series. 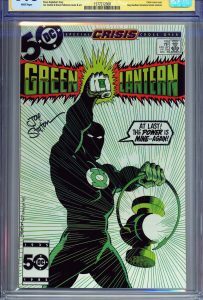 With Signature Series books a certified witness, employed by CGC, actually observes the signing of the comic and then immediately takes possession of the book so there is no possibility of the real autograph being switched out with another.